One of the high-tech modern methods of materials processing - waterjet cutting - has its consistent supporters in Ukraine. For more than 15 years Cherkasy Roden Company has been working in this category: conducting design working out the technological equipment, develops and supplies the customers with hydroabrasive complexes and the technology of materials processing, performs the orders for waterjet cutting in practice, provides its customers with the necessary spares and consumables. For the last years the company has accumulated a great scientific and practical experience in the application of hydroabrasive technology in modern production. At many enterprises in our country and abroad works the equipment for waterjet cutting designed and manufactured at the Roden Company. Knowledge of the world achievements in the field of hydroabrasive technology, as well as of global trends in the development of waterjet equipment allows the employees of Roden Company to implement modern approaches and technical solutions in this branch of industry into everyday practice. Roden Company - one of the few manufacturers of waterjet equipment not only in Ukraine but also in the world - has its own design of high-pressure units, designed and manufactured by the experts of the company. In 2000, Roden Company produced the first water jet unit based on its own design with a working pressure of 3200 bars. Since 2003, Roden Company has supplied their consumers with tens of waterjet cutting systems, some of which were made for specific technological tasks. Technical solutions used in the current generation of the equipment, high quality of the components, and a wide range of additional optional equipment offered by our company in the majority of the technical characteristics correspond to the modern world standards in the class of hydroabrasive cutting units with pressure of 3800-4150 bars. 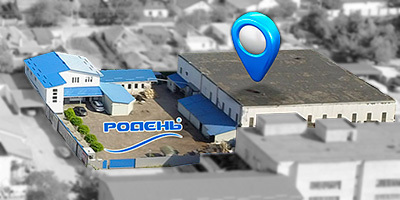 The engineering and technical personnel of the company is constantly working at the improving of the produced waterjet equipment, improving its reliability and consumer qualities, expanding the range of the proposed technological solutions on the basis of Ukrainian largest center of waterjet cutting, created by Roden Company.